the secrets of the old technique of fabric dyeing. Equally exciting, a visit to a workshop production of "shadow puppets" will take you behind the scenes of the Wayang Kulit (Puppet show). The highlight of this trip,is a highly typical and tasty lunch. 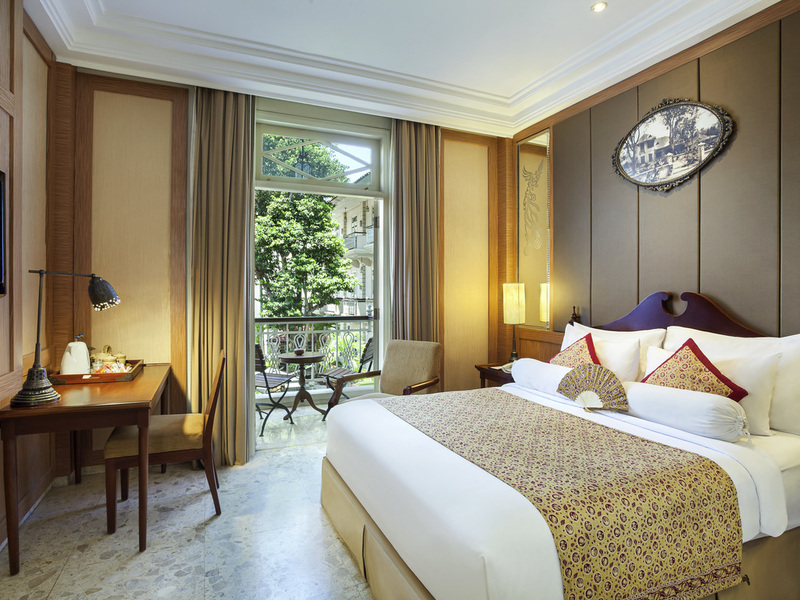 For an exceptional seminar or a voyage of discovery, the Phoenix, a historical Indonesian hotel, combines modernity with tradition. Proud of its identity, it is located in the region of Yogyakarta, to the south of Java, known as one of the centres of .. Moments of rare delight that you must seize and transform into unforgettable memories. This "very Epicurean philosophy" is adopted by the hotels of the MGallery by Sofitel. From the airport, take the official airport taxi (at the taxi counter) and go to the city center heading straight on to Jalan Jend. Sudirman from Jalan Solo. 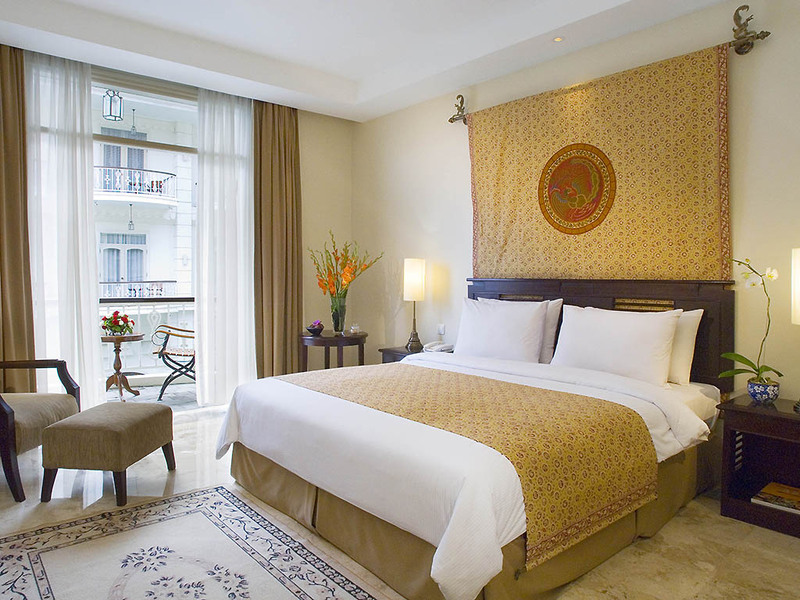 The Phoenix Hotel Yogyakarta is near the Tugu Monument. 270 sq.ft. 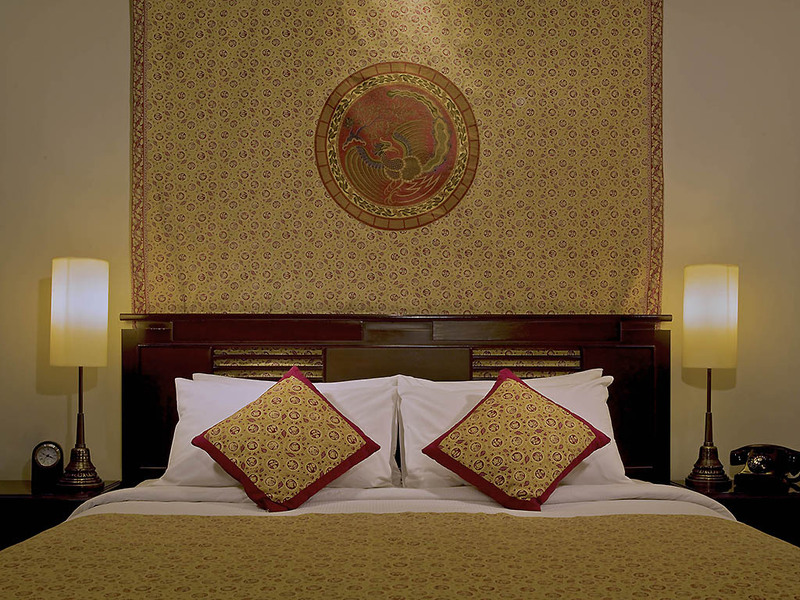 (25 m²) room, unlimited complimentary WIFI Internet connection, 32" flat-screen TV, rain shower, safe deposit box, turndown service, non-smoking rooms available upon request. 377 sq.ft. (35 m²) room, unlimited complimentary WIFI Internet connection, 32" flat-screen TV, rain shower, safe deposit box, turndown service, 1 extra bed possible, non-smoking rooms available upon request. 377 sq.ft. 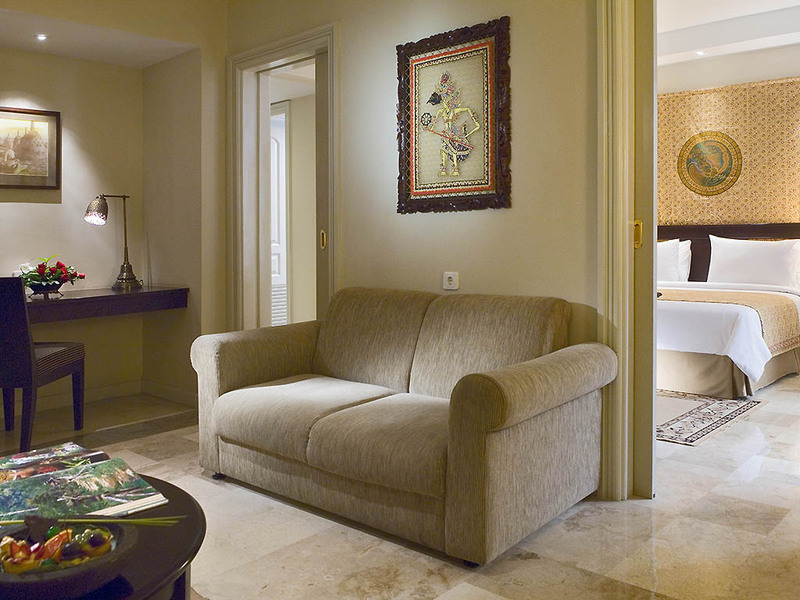 (35 m²) room, balcony with an exquisite pool view, unlimited complimentary WIFI Internet connection, 32" flat-screen TV, rain shower, safe deposit box, turndown service, 1 extra bed possible, non-smoking rooms available upon request. 495 sq.ft. 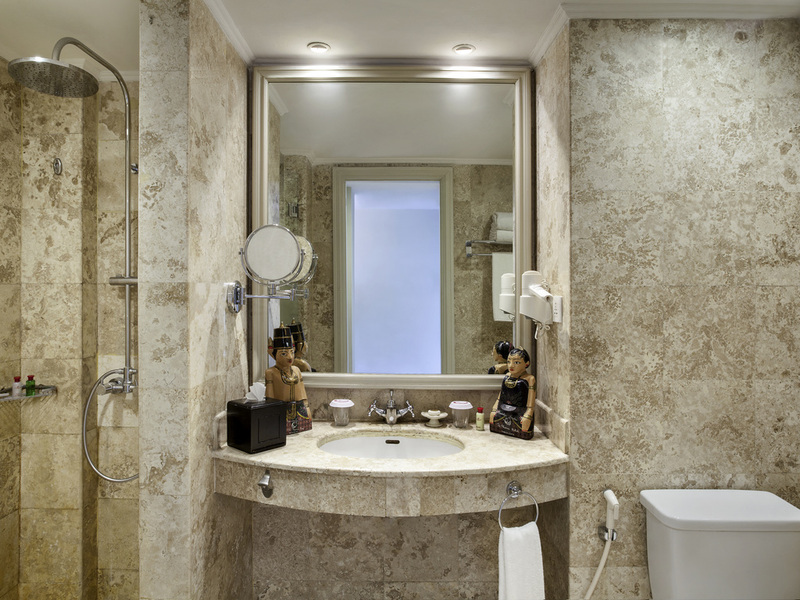 (46 m²) room, unlimited complimentary WIFI, 32" flat-screen TV, rain shower and bathtub, spacious desk, sitting area, illy coffee machine, complimentary minibar, shoe shine butler service, local delights. 645 sq.ft. (60 m²) room, unlimited complimentary WIFI, 32" flat-screen TV, living room, rain shower and bathtub, spacious desk, illy coffee machine, complimentary minibar, shoe shine butler service, local delights. Paprika restaurant & 1918's Terrace can accommodate 100 pax. With Traditional food, Western food & special Bakpia, 1918 as the signature "Oleh-Oleh". At 1918's Terrace, Piano Classic entertains you during dinner time & Kopi Luwak for Afternoon Break. Vino Bar can accommodate up to 50 Pax. We provide the best wine in town, Jazz Music entertainment and also Happy Hour everyday from 5-7PM. In the morning, we open the Vino Bar as our Executive Lounge for our guests.